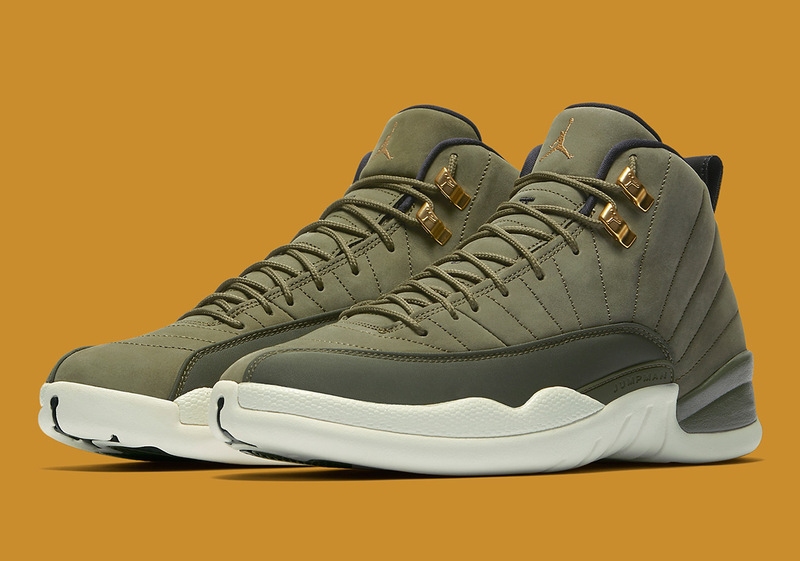 Jordan Brand’s celebration of its top signature basketball athletes is set to continue with an Air Jordan 12 designed in honor of CP3’s high school alma mater. Dressed in the signature colors of West Forsyth High in Clemmons, NC, it comes done up primarily in olive green with Sail accents and metallic gold hardware for a touch of luxury. This selection joins a collection that pays homage to Chris Paul, Carmelo Anthony, and Russell Westrbook with fitting nods to their collective high schools. Grab an official look at Chris Paul’s Air Jordan 12 below and mark your calendars for its August 11th release date. While you wait, be sure to check out our release dates pages for more from the Jordan Brand and Nike.